Modern investigative techniques are being applied to the mysterious unsolved bombing of Canadian Pacific Flight 21, which killed 52 people in B.C. in 1965. 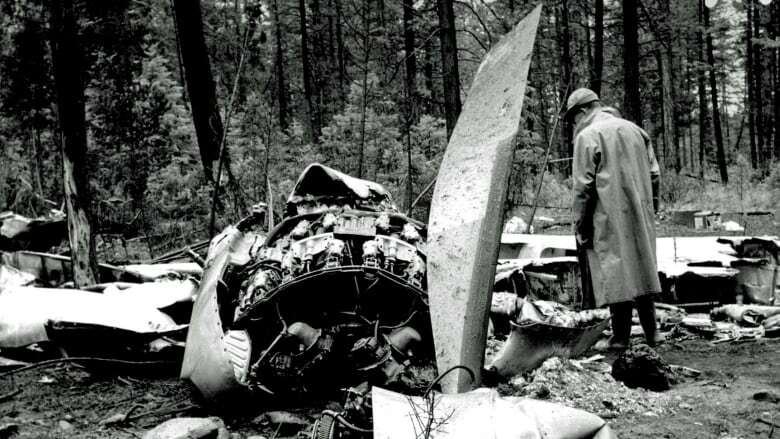 The mysterious crash of Canadian Pacific Flight 21 five decades ago is back under scrutiny as CBC News and a team of investigators take a fresh look at one of the largest unsolved mass murders on Canadian soil. "Not being able to know who did it means you have no place to even focus your anger," says Didi Henderson, whose father was killed in the crash when she was five years old. 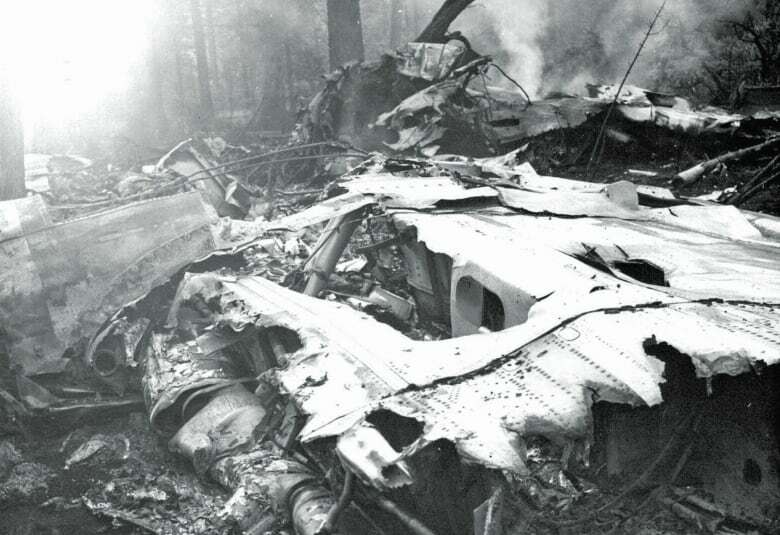 Canadian Pacific Flight 21 was en route to Whitehorse from Vancouver on July 8, 1965, when it crashed into the wilderness of the B.C. Interior. All 46 passengers and six crew were killed. Within days, aircraft investigators and the RCMP concluded it was a criminal act. Using trace evidence gathered at the scene, they determined a bomb made of dynamite and what appeared to be gunpowder was detonated in the airliner's rear lavatory by one of the 52 people on board. A gambler who purchased life insurance moments before boarding. A young man described as a loner with an interest in guns and gunpowder. 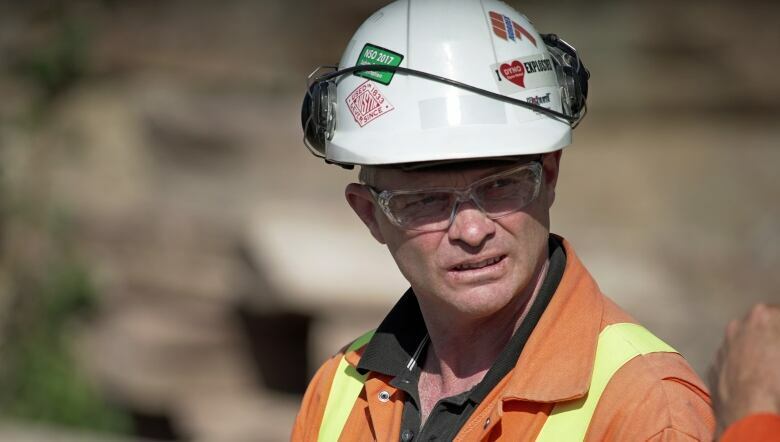 A mining-explosives expert who had a criminal record. An individual who had carried a gun onto the plane and was described by his psychiatrist as having a "deep madness towards the world." Police investigated the backgrounds of all four, but were never able to determine who was responsible for detonating the bomb. The case was eventually closed. But for those who lost loved ones in the crash, there's been no closure and many questions remain. Henderson is cautiously hopeful that a second look at the case may unearth new information. "I can't help but wonder, you know, when I look at the reports, the mimeographed informal letters and snail mail, what might have been missed or what modern-day forensics could have done differently," Henderson says. Over the past three months, CBC News journalists have interviewed dozens of individuals connected to the crash. They also accessed thousands of pages of decades-old documentation through freedom-of-information requests, including the original RCMP and Transport Canada investigative reports on the crash. 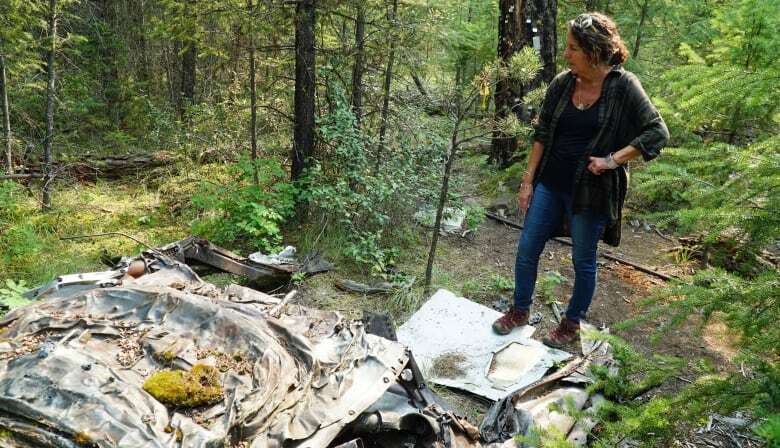 That material has been shared with a number of specialists — among them a former aviation crash investigator, explosives experts, and a criminologist with an interest in cold cases — to determine whether modern analysis and forensic technology can help shed new light on what happened. One of them, Larry Vance, worked for the Transportation Safety Board for 25 years. He reviewed Transport Canada's original investigative notes and reports on the crash, and the details about the situation in which the pilots found themselves. "I would say that these guys did whatever they could do within their capacity to try and save the airplane and save themselves, and most of all, to save their passengers," Vance says. "They tried the best they could, but it was an unsurvivable situation that they were in." Bill Smith, who teaches blasting techniques at Sir Sandford Fleming College in Peterborough, Ont., was one of the experts who reviewed the RCMP's original forensics on the makeup of the bomb. "They're saying it's a black-powder residue, but it looks like dynamite may have been used. And the question pops up, why? Why are we using these two products together? It's a mystery for sure." Mike Arntfield, a former police detective and criminologist who holds a PhD in Criminal Justice, and now teaches at the University of Western Ontario in London, has been analyzing the case. He's using a computer algorithm that compares it to other aircraft disasters, mass murders, suicide bombings and actions by suicidal individuals. 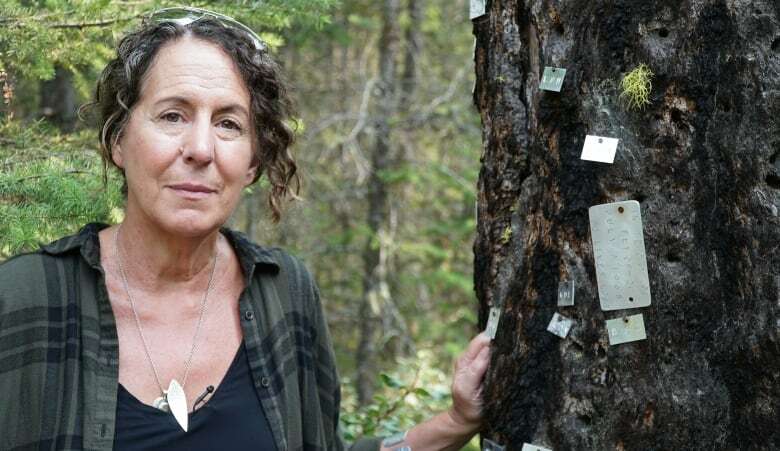 "This is probably one of the more remarkable cold cases in Canadian history. In part because it is so unusual, and yet there is little to nothing that's been written on it and very few people know about it," he says. "And as a cold case that lends itself to modern cold case methodologies, [it's] a real watershed case." The case is "uncanny," Arntfield adds. "It's something out of a Hitchcock film — Strangers on a Plane, we could call this. Four absolute strangers, each with something to hide. Each of whom will end up being, at some point, a suspect in this case." LISTEN: Over the next four weeks, the CBC podcast Uncover: Bomb On Board will delve into what happened and why. Hosts Ian Hanomansing and Johanna Wagstaffe speak to people affected by the crash and explore new leads. WATCH: The National will air a feature documentary on the CBC News investigation that will coincide with the final episode of the podcast. 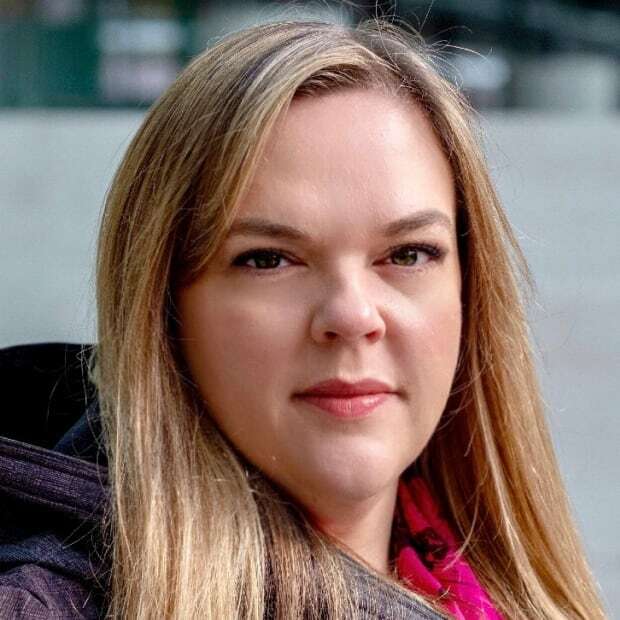 Tiffany Foxcroft is an award-winning investigative journalist and producer with The National. A number of her investigations have led to provincial and national policy change.